Wish to join the student council? (Thur) September 6th, 2018: Nomination period opens. (Sat) September 15th, 2018: Nomination period closes at 5pm. (Sun) September 16th, 2018: Interviews will be awarded. (Mon) September 17th - September 21st, 2018: Interviews. 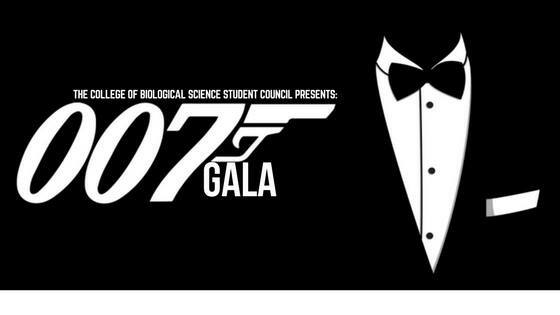 We would like to thank you to all students who came to our first ever College of Biological Science 007 GALA! The event was a great success, and that's all because of your support! As this is our first time holding such a big event, we would really appreciate if you can tell us what you think to help us improve in the future. Please kindly take a minute or two to fill out the survey below and share your feedback with us! Please enter all of your feedbacks here, good or bad, we love them all! We would like to make this big event even better for you in the upcoming year! 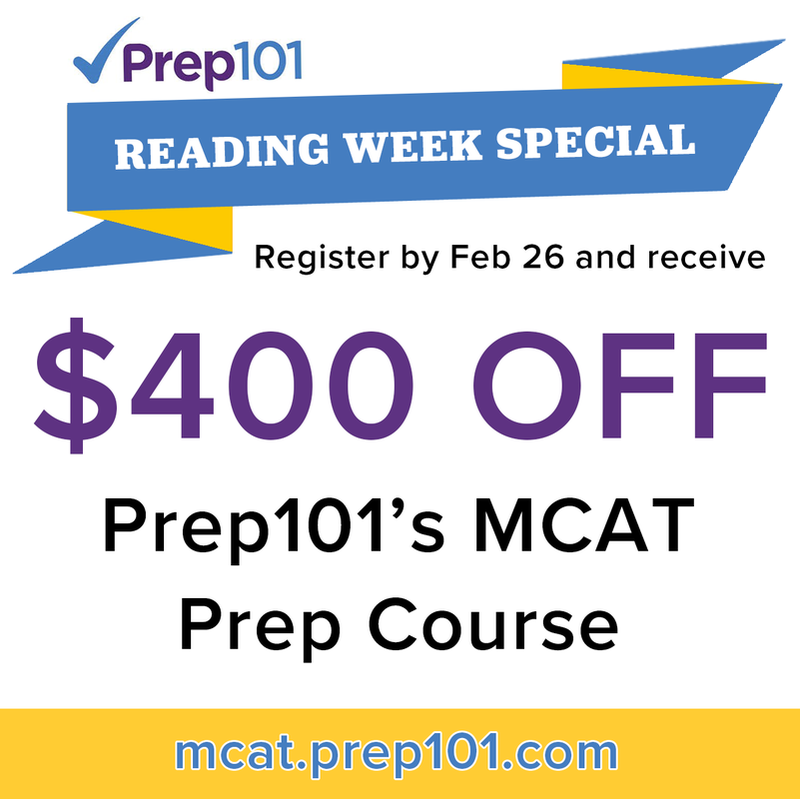 Prep for MCAT - Prep101 is here for you! Important: this offer expires on Monday, February 26! URA/USRA Positions are now open! So... what now? How to apply for a USRA? Confirm you are eligible to apply for a USRA in the Student Eligibility section. Step 01:Read the NSERC USRA guidelines. Step 02: Once the project proposals (jobs) are posted on the Student Financial Services website, complete the Form 2 Student’s Application to Department. Step 03: Visit the NSERC On-line Services page to register or log in. To log in: Click on ‘On-line System Login’ button. Click on ‘Forms- Student’. Select Form 202 - Part 1, ‘Create’. Enter and save your data. If you have never applied for an NSERC USRA before, you will not have a PIN number. You can leave the section blank on the form. If you are awarded a USRA, you will be assigned a PIN number at that time. Please contact the department offering the position if you have questions. Upload an unofficial summary of grades from WebAdvisor to the NSERC site and then ‘verify’ your USRA application. ​Students from other Canadian Universities must upload an up-to-date, complete official transcript including the legend. Forward a copy of the NSERC Form 202 part 1 along with a copy of your unofficial summary of grades and the University Student Profile Form 2 to the department/unit contact person listed on the position you are interested in. Over the past few years, CBSSC has organized a wide variety of events for all CBS students, including both academic and non-academic events such as Career & Networking Event, Trivia Night, Holiday Market, Study All-Nighters, ASAP Science .....and a trip to Health Canada in Ottawa! 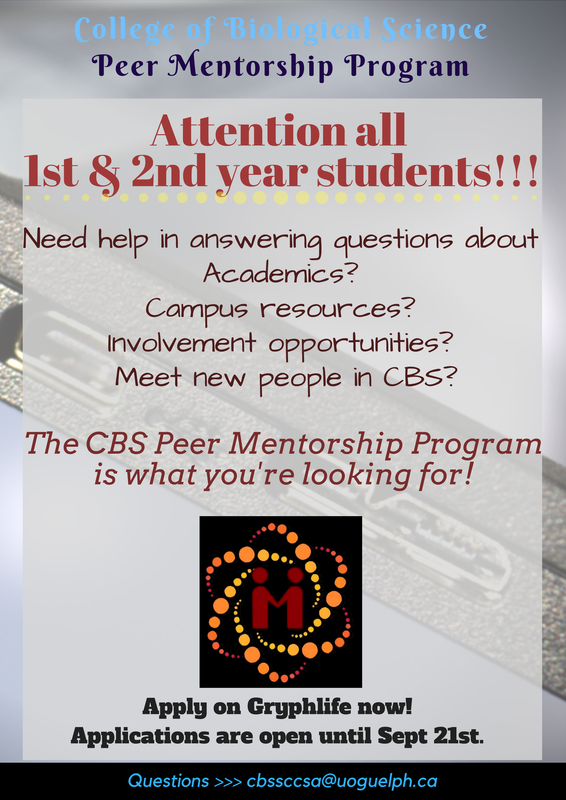 CBS Student Council is here for you - tell us what you think ! - Are there any events, programs or activities that you would like to see this semester or in the future? - If you attended any of our events, how well did the event go? How can we improve? Please use the box below to type your comments! thank you for taking your time to let us know what's on your mind! Need to print your works? Don't worry, we've got you covered here! Drop by at CBSSC Office, and we will print it for you. Pay as you wish! A PDR is a “Petition, Delegation or Request” for funding from the College of Biological Sciences Student Council. All PDRs are subject to review by the CBSSC Finance Committee, a recommendation to the Board of Governors will be made by the Finance Committee and the recommendation will be voted upon at the next Board of Governors meeting. Who can apply for PDR? Anyone can apply for PDR! Priority will be given to University of Guelph students. How to apply for PDR? Please download and complete the form on this page, and submit it to the CBSSC office (SSC 1502). 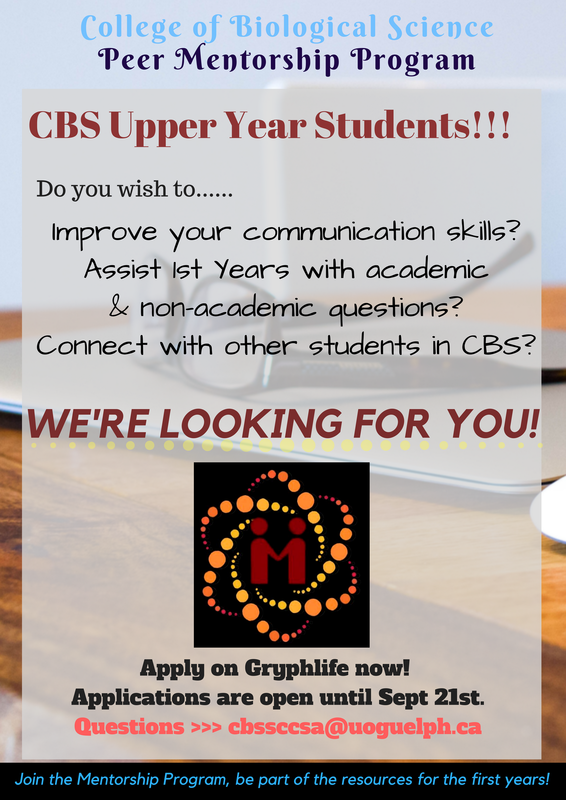 Are you interested in getting involved with CBS Student Council? If so..... you should consider becoming a Board of Governor! Check out the nomination package below for more information. Deadline is (Wed) September 27, 2017 at 4pm.